It is great to hear of your recovery, John! We all are looking forward to (if not craving for) a restart of your blog!! What is the name of that typeface used for Phonetic Blog 2012? It's very rare for an English pronunciation to end in short [u] or [ʊ]. I think that her name would have to end in long /u:/ (the GOOSE vowel). The pronunciation of her name was discussed back in 2004. How do we users of IPA interpret "o-ho-roo-goo"? One of the first two syllables must surely have a schwa. How about /əʊhəru:gu:/? If she's trained in phonetics, perhaps she can come on this blog and tell us how she transcribes her name. Sounds like ɒhəˈruːguː to me. Geoff Lindsey has convinced me never to use ɒ. I shall never use it again. I don't think that it's [u:] for the GOOSE vowel. That's what I would say, and this sounds much more London-flavoured. I would argue for [ʉ:]. You're probably right on the stress marking though. I've always been useless at those. The font is London Olympics 2012. Truly, one of the worst fonts of all time. It got a mention on the BBC today (here - very last item on page). I'm very happy to see you again here, John! So did I, due to airport security hassle. Newyddion da – croeso nôl! I've just put this into Google Translate, and it seems good at Welsh. I don't normally get such good results for German. Okay, have a Google Translate version of that last bit – not least because I've mistranscribed the o in oddi, not to mention whatever other mistakes I'm unaware of. Google Translate, for all its limitations, isn't bad here. Even in the other direction, it often seems to at least convey the sense (with the caveat that I'm a learner, so might be oblivious to some howlers). There's another one out there, called InterTran, that produces utterly hideous results. See example; even if you don't speak a word of Welsh, you'd probably guess that all those isolated 'r and 'n bits don't seem right. I just tried InterTran on English-French with the first phrase I could think of – I want to go to the town this afternoon. – and it came out with Je veux aller à vau-l'eau les ville tantôt. (Contrast with Google Translate's Je veux aller à la ville cet après-midi.) And they want money for it? Great to hear you're on the mend. We were all very worried about you! Very glad to hear you're recovering well. Great to hear! We look forward to the blog, but more importantly knowing that you are recovering well! It's great you are recovering. We all hope to have you with us healthy as soon as possible. Very pleased to see you back and well, and blogging. 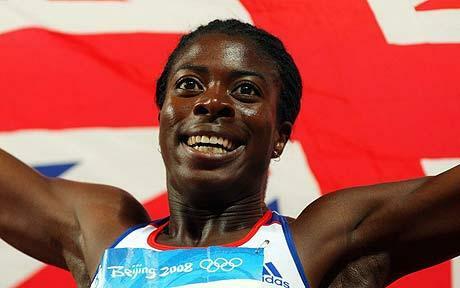 I didn't know that about Christine Ohuruogu. I am glad you back to normal. I'm a glad you are getting well, dear Professor Wells. I'm looking forward to reading your insights again. This is Good News! So glad to hear this. All the best! Saluton, John. Mi tre ĝojas pri via plibonfartiĝo, se tiel diri.